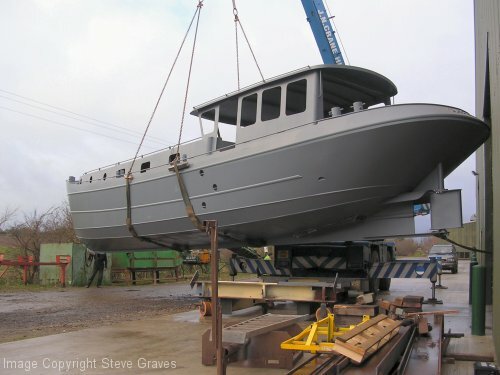 Steve and Anne Graves’ 56ft barge ‘Patricia’ leaving the South Holland yard prior to fitting out in January 2009. This barge uses the same double chine hull form as my other barge designs but has an aft cockpit superstructure arrangement. The design was commissioned by the Graves to meet their specific requirements and is being fitted out by them.